Owlet Baby Care has just announced that they are working on an Android-compatible version of its smart baby monitor which will be known as the Owlet Monitor, and this particular baby monitor will roll out this coming June 6. The Owlet Monitor intends to stand above the rest of the crowd as it makes use of hospital technology that have been specially designed to alert parents should their baby stop breathing, and also enables parents to check out live vitals through a simple app on their smartphone, and this particular app had in the past been available only on the iOS platform ever since the product launched in the previous last year. 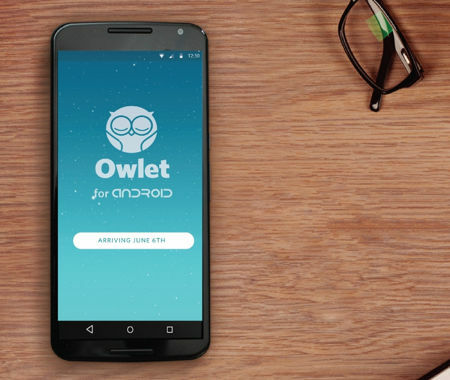 Owlet will be running a private beta test period on the Android version before it is rolled out to the public, and here are more details on how Owlet has miniaturized hospital technology. Pulse oximetry has been incorporated into a baby sock, which is the Owlet Smart Sock, which will connect via Bluetooth low energy to a Base Station, and it has been designed to alert you should your baby stop breathing. The Base Station will connect via Wi-Fi, where it sends vitals data to your smartphone so that parents are able to monitor from down the hall, across town or around the world. The Owlet Monitor will retail for $249.99 a pop if you are interested. The Ravi Instant Wine Cooler – Why wait if you don’t have to?